thanks so much for all you do. i have nine dogs that are rescues myself. they will spend their days with me as their forever home. I use to do alot more rescue but due to my failing health i have had to stop. but i dont regret one moment spent doing the work i so loved. mat GOD BLESS you and your continued work. Thank God for people like you... anyone who harms an animal intentionally should be given the same treatment for the same amount of time or longer, because 1 dog year is equal to 7 human years... Pitbulls are beautiful dogs, it is in how they are raised that they become aggressive. Every animal deserves to have a painfree existence. "To be followed home by a stray dog is a sign of impending wealth." That was so beautiful and well said! Thank you! And yes... it is heartbreaking, no doubt. Anyone who is capable of harming these amazing, beautiful, innocent creatures... must have no soul. The above is so true nothing can ever be added as it IS perfect ! Where's Rudy? I didn't see an AFter picture for him!! 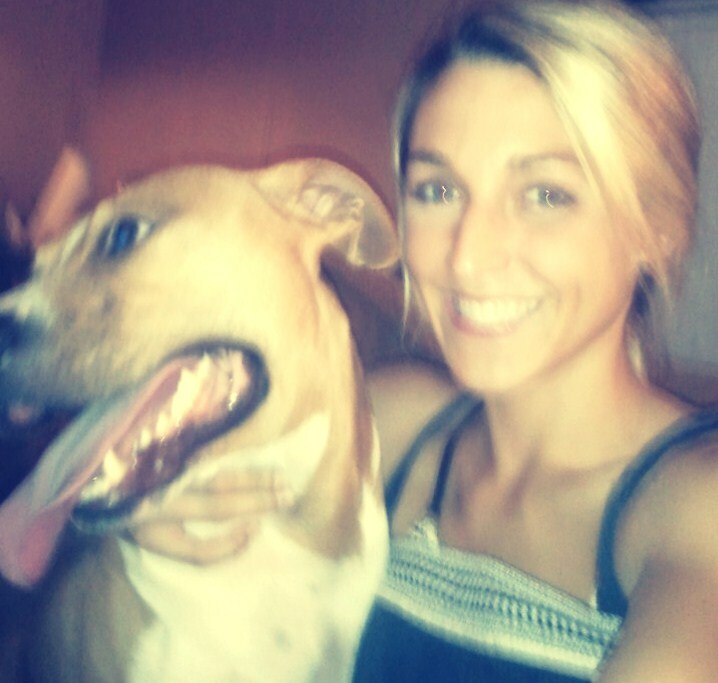 Rudy was my personal dog... my everything. He passed away in 2010. I've shared so many "after" pictures of my Rudy in the past, that I initially neglected to include one in this post. But after reading your comment... I realized I should add an "after" photo of my special little boy. If you re-check my post, you'll see him :) He was beautiful. Thank you, Vanessa. There's always a sense of comfort in understanding. I know you understand how I feel. I'm touched always touched by your writing. So beautifully said. Yolanda, thank you, sweet girl!!! I foster puppys and dogs for a local rescue. Each time I give one up, I blubber and my heart breaks. I know that with each heart break, my heart grows a little bigger for the next dog or pup that I help save. Two of my children have rescue dogs and my heart aches for all they had to go through to get to us. 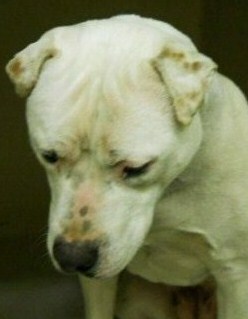 One was a stray and was on death row before angels saved her and treated her for heartworm. The other my daughter saw dumped out of a car. Even though they have every right to be wary and scared of humans, they show such love and trust. I will never ever buy a dog from a breeder again. I sooo know your pain. Fostering is heart-wrenching, but so rewarding. I can't thank you enough for what you do. You are a truly amazing person for fostering! You are truly an inspiring person. Thank you for doing what you do and giving so much of yourself! I have added your non-profit to my annual donation list. Sue, thank you, thank you, thank you!!! SO MUCH!!! AMEN!! Very well said!!! loved every word of that! thanks for all you do!!! Wow! Thank you! I was really worried that maybe I hadn't done a very good job of accurately expressing what we rescuers go through. But each of you has made me feel sooo much better about that! THANK YOU! Ashley- You are an angel on earth loving the ones that need loved the most. I try to live by: Human beings do what they CAN do. That is the duty, that is the priveledge of living. It in some ways forgives me for my failures and offers me peace these past 40 years I have been in the Rescue Area. You blog was beautiful...Thank you so much. God blesses the beasts and the children and you're at the top of the list you help and heal both. Wow. Thank you! Really, thank you!!! Thank you, Suzanne. And I totally agree with you about the evil people of the world. Wow. Literally how I feel. But Ashley put it into words like I never could have. This is so true. It's heartbreaking because we will never be able to save them all, but you're right. Rescue is the most rewarding thing we can do whether it's many at one time or only one at a time. I cry every single day for these precious babies that only want love. They're no different than we are. Without love, we have nothing. Without compassion we are dead inside. I thank God for each and every person out there who not only rescues but also advocates and shares for these helpless creatures. One share can sometimes make a difference between life and death for them. No matter how small the gesture, every single one counts. 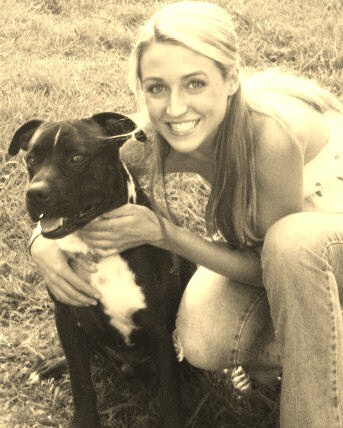 Ashley, you are an amazing person and God will bless you for the love and compassion you have for his creatures! What a beautiful comment. Thank you so much for reading, connecting, and caring. You're so right... every act of goodwill matters. We can each do something to make a difference in this world. Thank you for being you. I shared and donated. Your words couldn't have been written any better. I have 3 dogs and 3 cats all rescued one way or another. Thank you for sharing, and THANK YOU SOOO MUCH for donating! Thank you, thank you!!! You are an inspiration and have been heaven sent to help all the lost and abused dogs that need you. Hope one to fulfill my dream an open a rescue! thank you for all you do... and thanks so much for posting the after pic. of these beautiful dogs..
ASHLEY, ALL I CAN SAY IS I WANT TO BE JUST LIKE YOU WHEN I GROW UP. YOU ARE AMAZING AND TRULY AN INSPIRATION. Just beautiful. 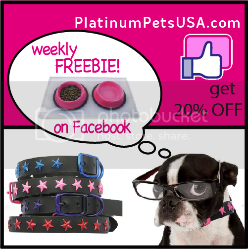 I'm going to share your post on Monday when more of my facebook friends are likely to see. I see a lot of images that haunt me on a daily basis, but I still keep looking. Every once in a while I will break down on my mom and share the horrors I've seen and she will tell me "you need to stop looking at that stuff, it's hurting you." But the truth is, it makes me give more. Knowing makes me stronger and makes me fight harder. Knowing makes me do more for more animals. And, yes, knowing breaks my heart. But if I didn't know, that wouldn't erase the truth. My knowing adds one more person to the fight. It adds one more person on the side of love and rescue. Knowing has changed my life. For the better. Even if I do break down and ugly-cry every so often. Thanks so much for your post! Elizabeth, I am a 50 yr old grandmother and my husband says the same thing to me and our granddaughter. As of right now, our family has a rescued 3 year old chihuahua who was dumped because she was pregnant and her 5 little puppies that she had on Easter Sunday (our Easter puppies instead of Easter bunnies) and a border collie mix who was found abandoned (she was younger than 6 weeks) on a ranch with cactus all in her tiny little body. I couldn't agree more. You are clearly a strong, wonderful person... with a heart of gold... and I want to thank you for making a difference in this world, because you certainly are. Wow! So powerful and so true! It says it all...all of the emotions , good and bad that we go through daily. The visions we have to endure and go to sleep with at night. So heartwrenching the things we see and are involved in. But there is alot of happiness this work brings us too, in saving all that we can, one by one. Saving them one by one...that is the motto I live by. I cried when I read this. Thank you Ashley, for all that you do! Saving them one by one...Hugs! And thank YOU for all that you do, DeDe! Thank You Ashley for all you do!! I love reading your blogs, they are so well said, and come straight from the heart. I have a foster baby, an older gal, she is the sweetest girl ever!!! I also have 2 shepherds that are my world. 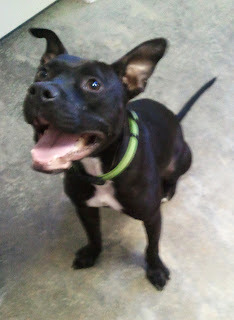 Today i got the news that someone has applied for my sweet foster, Miami. I am struggling with having to let her go even though nothing is official as of yet. Funny how quickly we become attached. How do you ever let them go? How do you prepare yourself to say "Goodbye"? I know I will do what is best for her, even though it is going to be the hardest thing I have ever done. Thanks for sharing your stories, I always look forward to the next!!! God Bless You and Thanks for inspiring so many people!!!!!! My heart goes out to you, because I know exactly how you're feeling. Fostering is nothing short of amazing, but it's beyond heartbreaking at the same time. For me, it's the continued communication, photos, videos etc from their new families that helps me to be okay. My heart still hurts like hell, but I'm able to see their joy... and the insane amount of love they receive from their new families. Then, I'm able to save another in their place, and in their honor. And while I'll miss them forever, I know that they are exactly where they were always meant to be... and that I'm the one who got them there. 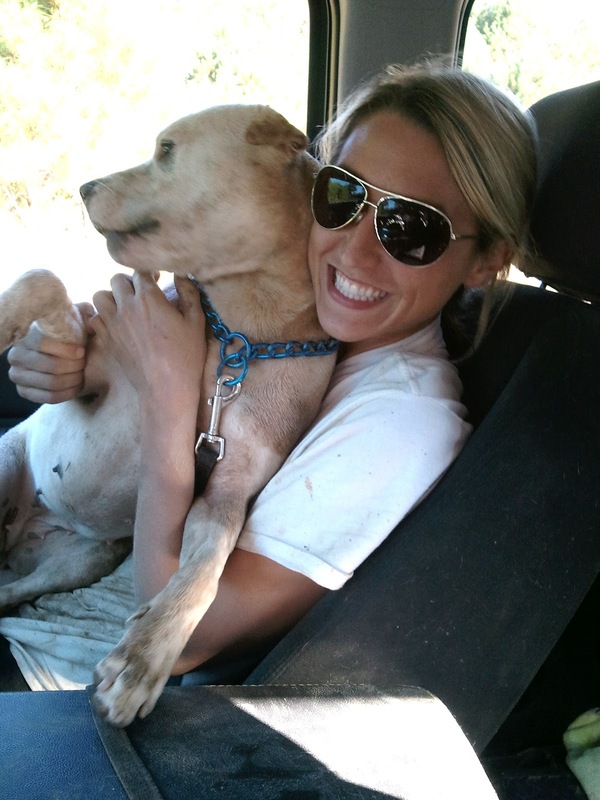 You're a truly incredible person for fostering a dog who needed you. You saved a life. You made a differece. You changed the world. Thank you so much for being the person that you are. I feel that way also, though I do not see near the amount of suffering that you do. Thank you for being so strong, so caring, so giving and so compassionate. You are an inspiration, as well as an angel! very well said Ashley. You have such a beautiful way with words, I love the way you write. Thank you for helping these precious animals in need. Thank you for saying what all rescues feel.. Many times I wonder how I can go on, but then I see the answer in a happy face that once knew only pain and fear. God bless you for not only putting into words, but into action. Quite simply, this was just beautiful. I can't thank you enough for all that you do. I've been crossposting and donating for awhile, but I'd like to get more involved. I hope I can find the courage, because I know without a doubt that the heartbreak and pain I experience will be more than worth it. You're already doing something really amazing. Crossposting and donating are both incredible, much-needed rescue actions, and you deserve a massive thank you for all that you do. Wow Sarah! Thank you, thank you!!!!!!! It is a wonderful thing that you are doing saving these dogs. The world needs more people like you. So beautifully said. My shelter dogs and my rescue were snuggled up with me as I cried my way through ... I'd never have it any other way. After moving to Mississippi, I discovered that there are more dogs and cats that need to be rescued than there are people to rescue them. Even though my life had turned upside down because of divorce, relocation, and the subsequent unemployment that followed, and continues today, I had to do something to help aleviate the suffering of animals who roam free and mate freely, with no one to care about them or their offspring. Even though I have very little for myself, I had to do something to try to help. Its who I am. 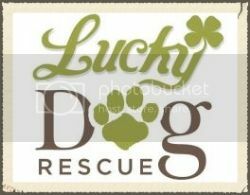 I now have 11 animals....thats 7 dogs and 5 cats and a long term foster who will be going to his furever home in June. I never intended to have a small rural petting zoo, but they needed someone....they needed me. I have done my best to care for them but there just isnt enough money to buy the things they need. Can you spare $5 or $10 to help me help them with vet care? None of the dogs have ever been heartworm tested. The mosquito population in the south is high, and therefore so is the incidence of heartworm. I still have two girls who need to be spayed. I need to spend money on flea treatment and worming, and vaccinations. Please help me help them. You are a hero and an angel. Thank you for the work you do! Ashley...as usual, a well written blog. You hit the nail right on the head. You are one of the lucky rescuers. I know that its never enough, but you have followers, and you have people who donate to help in whatever way they can. There are people who on their own are trying to make a difference, and they are in trouble. One woman, a German immigrant to this country with no income and not a single bit of help in the form of food stamps, is in way over her head because she has tried to make a difference. Ask her about what BSL was like in Germany in the early 90's. A whole breed of dog almost came to total extinction because of the stupidity of people. You still cannot walk a bully breed in public without a muzzle...it doesnt matter that the dog is a total sweetheart. If you dont have a muzzle on your dog, they WILL take it from you. God bless people like you and your followers, and Elly, who by herself does her part. Ashley, That was ABOLUTELY AMAZING!!! You have such a way with words, but I know the reason for that is you write from your heart & soul!! We live each moment of your life & their lives through your words. You are such an AMAZING women and an inspiration to us all!!!!! Keep doing what you are doing for without you and others like you, these wonderful blessings that God created wouldn't stand a chance. I know at times in your darkest hours you must feel alone, but always know you are not, we are with you every step of the way in spirit, love & support, but more than that so is the Man upstairs. You have a special place up there one day reserved JUST FOR YOU!!! & the people that have caused this pain & suffering will meet their judgement if not here on earth, that day will DEFINITELY come!!!! Wow. Beautiful and powerful words, Ashley. 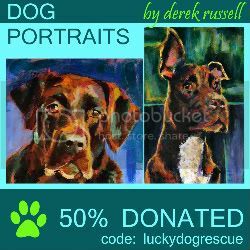 You have truly captured the essence of rescue with this piece. 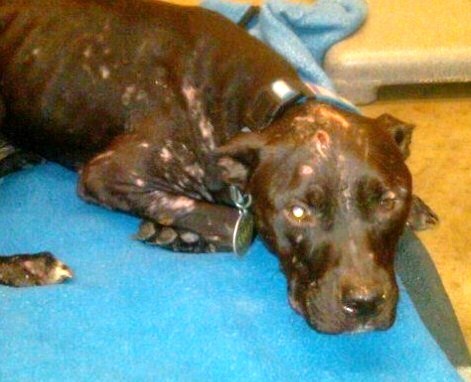 WHOEVER DID THAT TO THOSE DOGS...I WANT TO STAB THEM AND BEAT THEM AND SEE IF THEY LIKE IT AND IL TIE THEM TO A POST WITH A CHAIN AROUND THERE NECK FOR HOURS AND NOT FEED THEM FOR DAYS....SEE IF THEY LIKE IT...IF YOU DONT AGREE WITH ME..JUST DO ME A FAVOR AND LOOK BACK AT THOSE PHOTOS...THEN JUDGE ME. 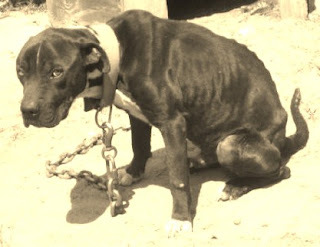 People do horrendous things to animals and to other people. It takes courage to stop the violence and strength to endure the pain and suffering. All creatures deserve to be treated with dignity and respect. Even the poor ignorant people who did these things have obvious problems perhaps from abuse done to them. I don't respect their actions and I condemn the violence and I applaud the people who take the time and energy to try and put things right. It takes a very special person to be able to look at this every day. Your sentiment is well written and from the heart. Thank you. Extend your kindness to those people who need the same type of help. They are sick and they also need healing. The dogs you care for are lucky, indeed. Thank you. So true. So true. Rescue is Heaven and Hell each and every day. I have no words to tell you what made ​​me read what you wrote. I can only tell you that I admire you, rest assured that I personally, at this time, I promise not to lose my arms if only to give you encouragement and strength if ever feel that you don´t. Once again Ashley, I am deeply inspired!!! And once again, Ashley, you have touched and inspired me beyond what I thought I could ever feel. You have a way of putting into words what I and I know many others feel in our hearts every day as we witness what the evil of the world can do to the innocent. Thanks for reminding why I am here on this earth and why I and anyone involved in saving innocent lives can't give up on these precious creatures, not for a minute, hour or day. Thanks for inspiring me once again to keep going! I FEEL LIKE SUCH A LOOSER, I CANT DONATE RIGHT NOW, IM SO SORRY, BUT CAN I HELP IN ANY OTHER WAY YOU CAN REACH ME AT...:ANTHONYJR1972@GMAIL.COM I HOPE IN THE FUTURE I CAN BE OF HELP TO YOU GUYS, GOD BLESS ANTHONY,CASTRO JR. I recently started subscribing to your blog and I have to say I'm so glad I did. This was absolutely beautiful and made me cry. Just 3 months ago I adopted an abused pit mix and she is such a joy! I absolutely love her and don't know what I'd do without her. I'm also in the process of adopting another and hopefully he'll be in his new home tomorrow. Because of people like you these babies get another chance so from my baby Suzie and I a big huge thanks!!!! Thank you Ashley. I am so glad that are people like you to help animals. We have rescued over 25 dogs in the past 4 years. 9 of them have stayed to live with us. I can't imagine not being able to help the animals in some way. I have worked with ARF of Mobile, AL off and on when I am in the country and for the Azalea Cit Cat Coalition with their trap/neuter/release program and this post is oozing with truth. I recently rescued a baby Stump-tailed Macaque in Vietnam where I live now who was severely malnourished, dehydrated and traumatized and have tried to take these lessons to the world of primate rescue as well. Working in animal rescue has taught me so much about the evil humanity is capable of, but at the same time I was truly blown away by the compassion of the rescuers and what they go through to save animals from the evil side of people. The contradiction that we face every day in rescue is sometimes overwhelming and often confusing. The worst and the best of humanity truly comes out in the business. Keep up the good work. You are truly a superstar. I just love your blog! Thanks for all you do!!! Beutiful, heartfelt, thank you for that.